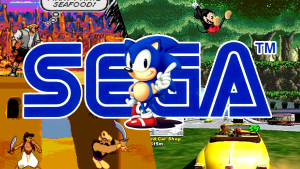 Sega Games is offering an online survey for their game players. They desire to hear your feedback which will help them to decide steps in the future. Many of their popular series include Sonic (Hedgehog), Valkyria, and Phantasy as well as others. The Sega Survey includes a number of questions for individuals to answer. The company desires complete answers as much as possible. And the survey typically takes about 15 minutes to complete online. For updated information regarding the sweepstakes, please visit the sweepstakes rules link on the survey site. No purchase is necessary to enter or win. Individuals must be at least eighteen years of age and live in the fifty states. Full disclosure is provided on the survey site of all details and methods of entry. For more information, please visit the Sega Games Online Survey at games.sega.com/survey!